This Christmas, give away some wine tourism. 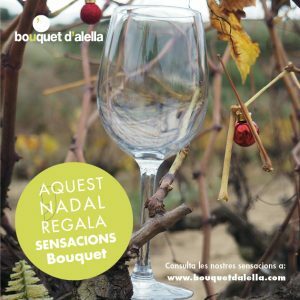 Come visit us at Bouquet d’Alella and enjoy our gourmet appetizers, breakfasts with fork, moonlight dinners, exclusive visits to the winery and, of course, the best wines in the DO Alella. 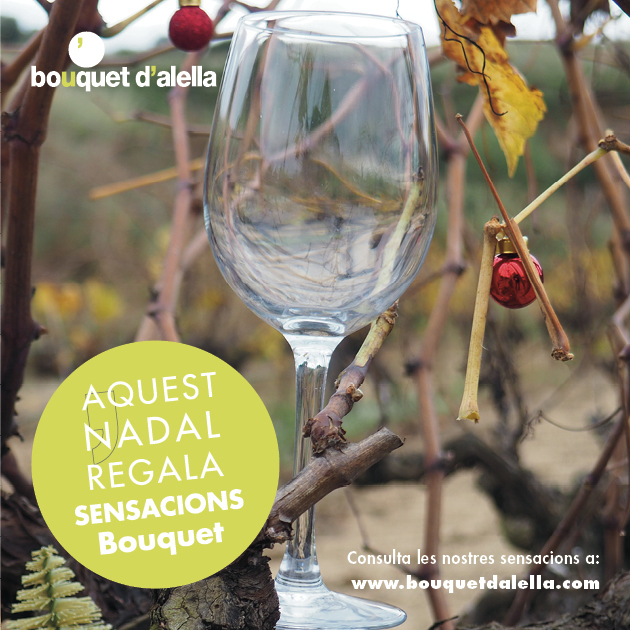 Reserve your gift voucher, provide your loved ones with the best experiences among the vineyards and do not forget to have a nice and warm holiday season!